Common medical billing issues can derail your cash flow. From missing out on patient information to failure to follow up can wreck your claims and payments. If you want to improve your billing process, here are the 5 mistakes you cannot make. Any outstanding need to be followed up. You are missing out on revenue when you neglect these. Aging reports can help you spot delayed claims. Whether the claim is inaccurate or there is some other issue, you wouldn’t know the reason for its delay unless you follow-up..
Unread reports can quickly pile up. Check your reports without delay so that you can identify problems and take steps to remedy them. Delays can result in no payment T.
Being unorganized is a common problem but can cost you big by preventing timely claim submission. Most payers have a time limit to file claims and delays can prove expensive for you. When you submit the claims late, the payer can deny them. Submitting claims in a timely manner can improve your cash flow. Lack of training will prevent your employees from filing correctly, identifying issues and resubmitting them. If your staff does not fully understand the claims process, it could result in unwanted denials and loss of revenue. Many practices have the same employee handling billing as well as many other administrative tasks. If your billing team is overwhelmed with work, they may not be able to give their full attention to the billing process. This can harm your revenue and cash flow, ultimately affecting your bottom line. This is why an increasing number of practices are now outsourcing medical billing and coding to a professional billing services provider. 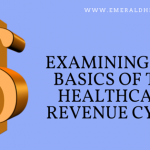 To learn how a medical billing service provider can help you, call one of the top medical billing companies, Emerald Health at 855-650-9906 Today.